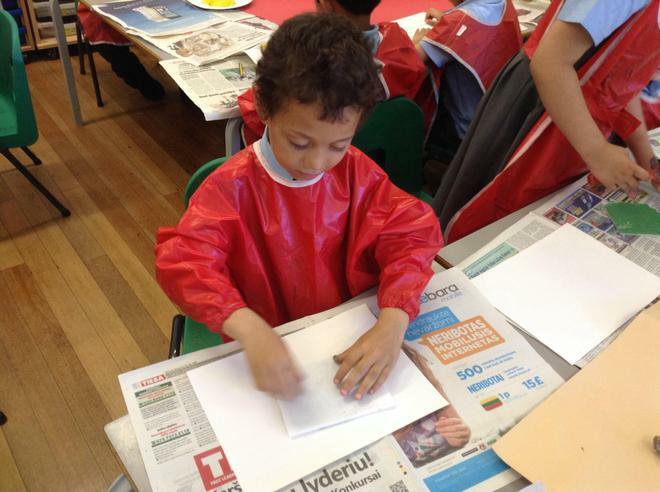 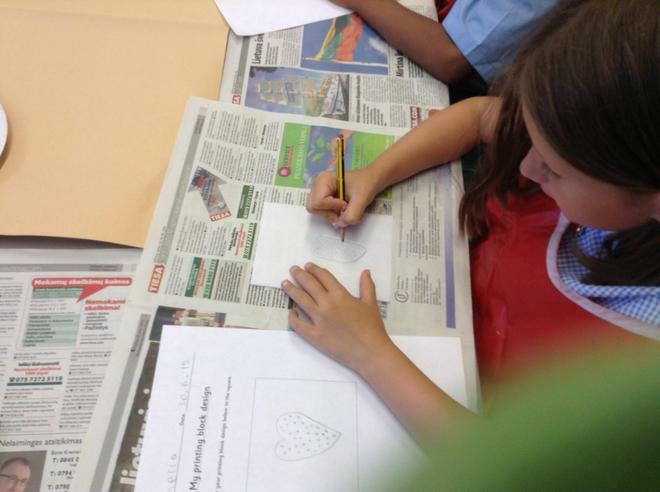 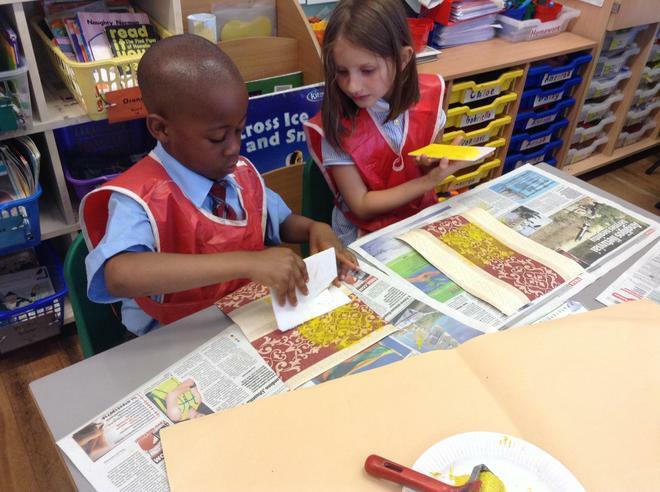 In art, Year 1 designed a pattern or picture then engraved this onto a polystyrene tile using a sharp pencil. 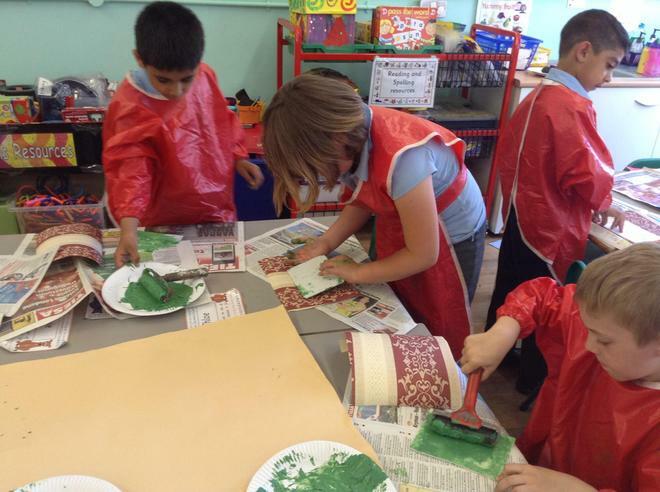 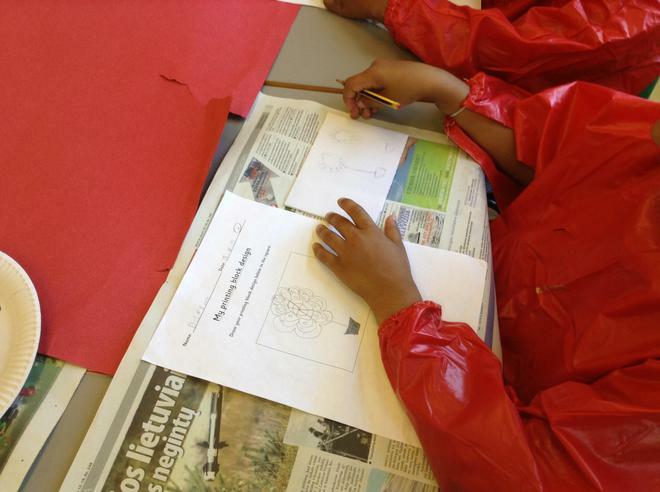 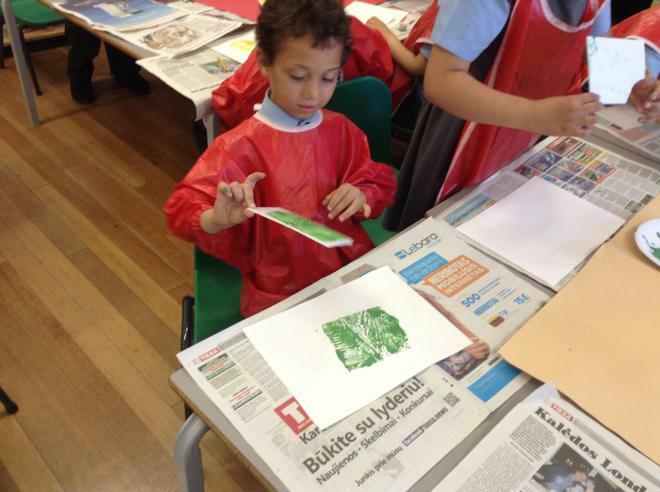 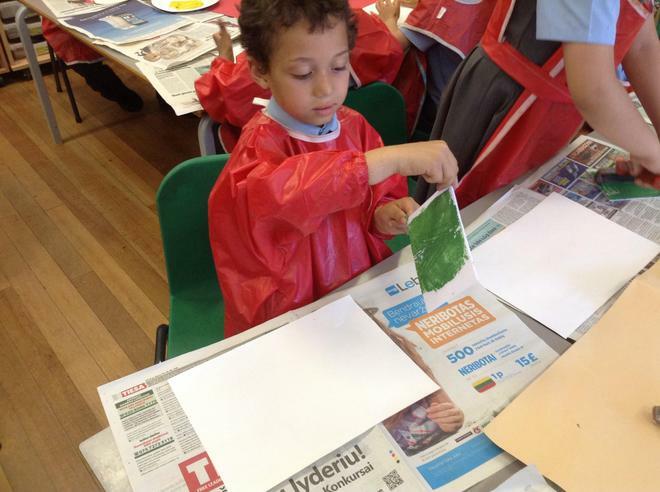 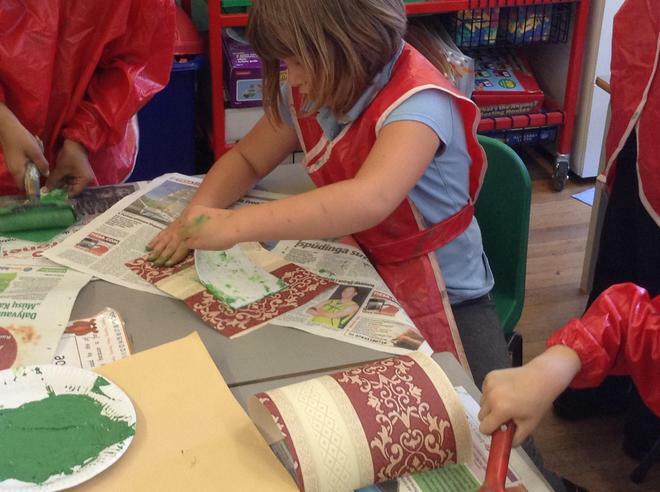 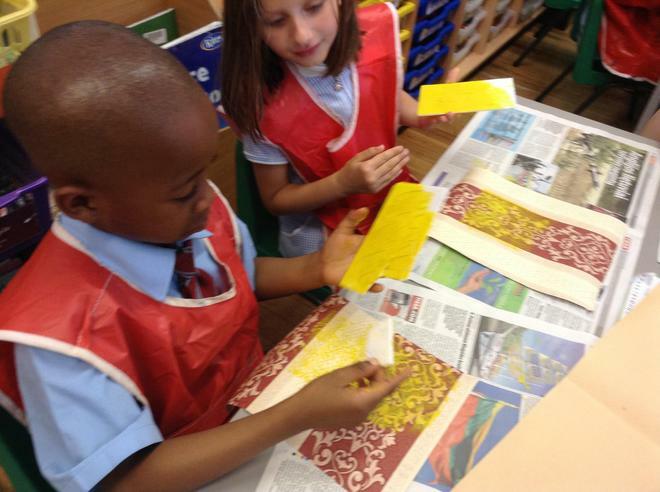 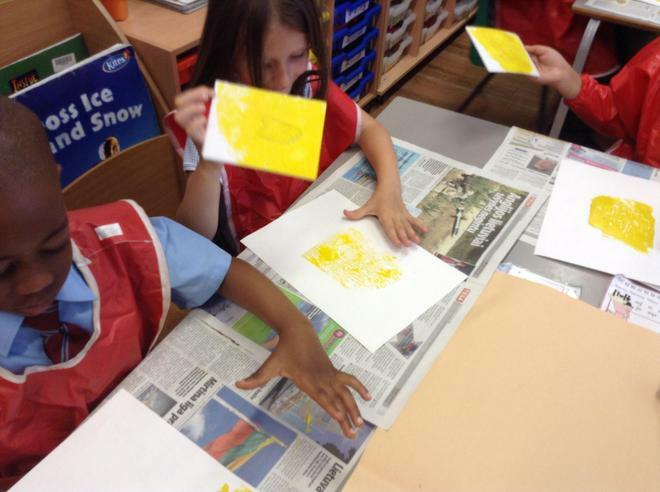 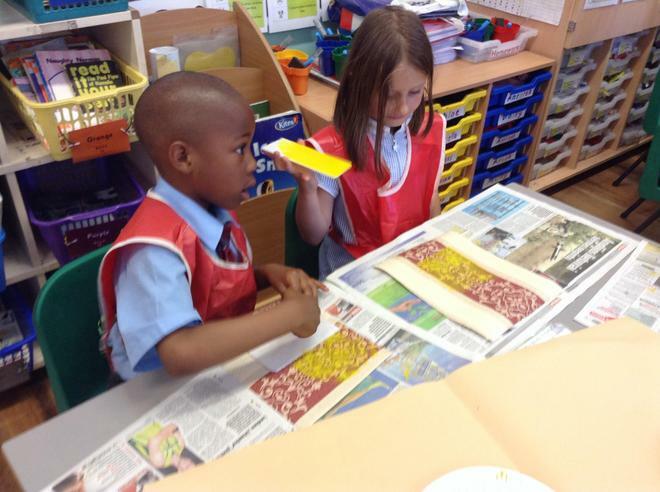 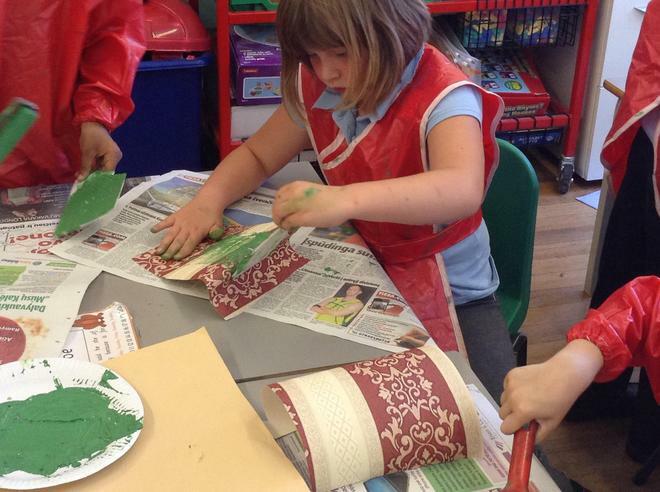 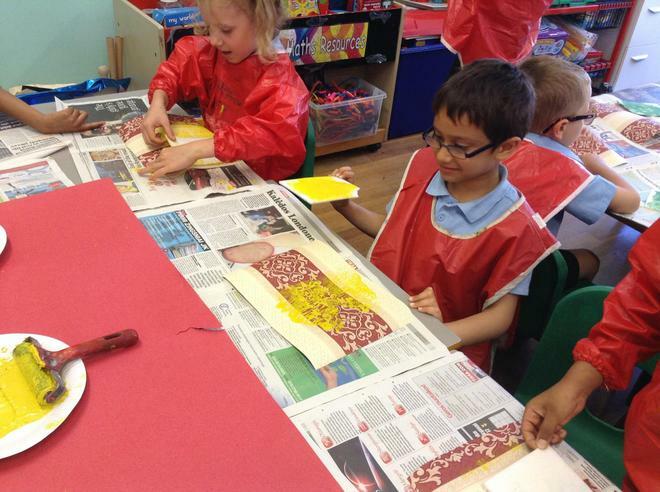 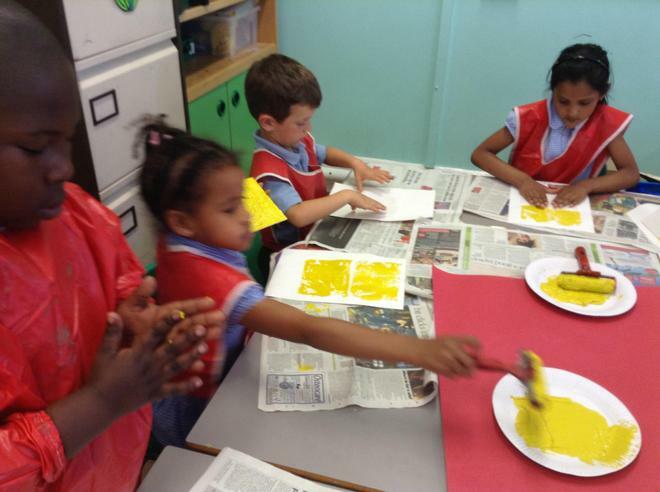 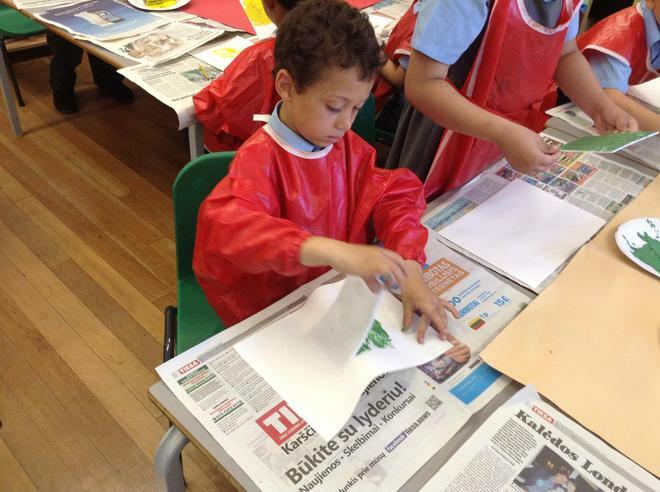 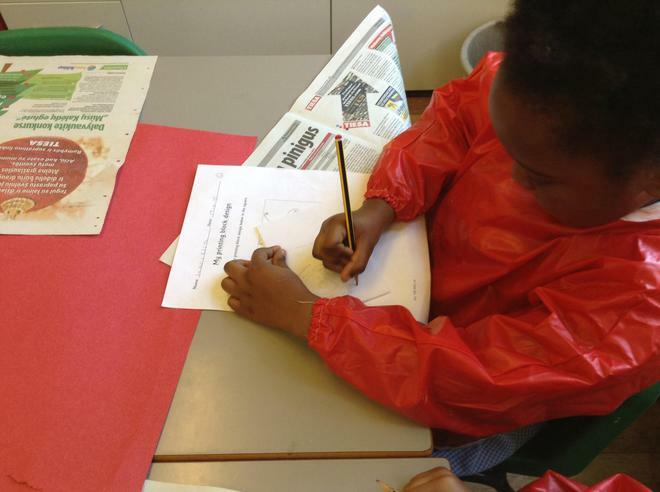 After that they used printing ink and rollers to print their designs onto different textured paper. 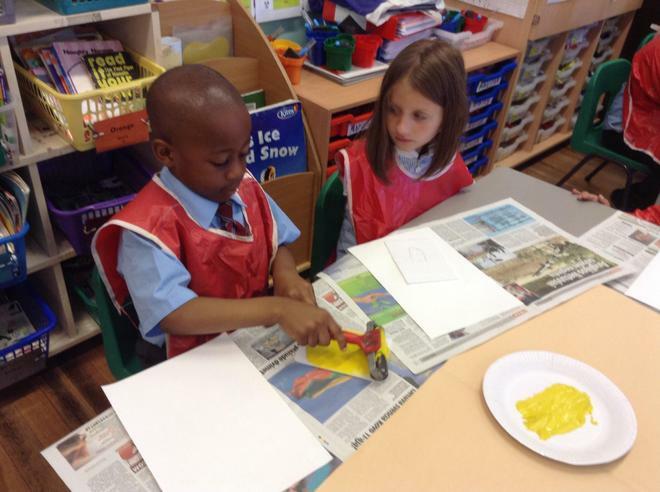 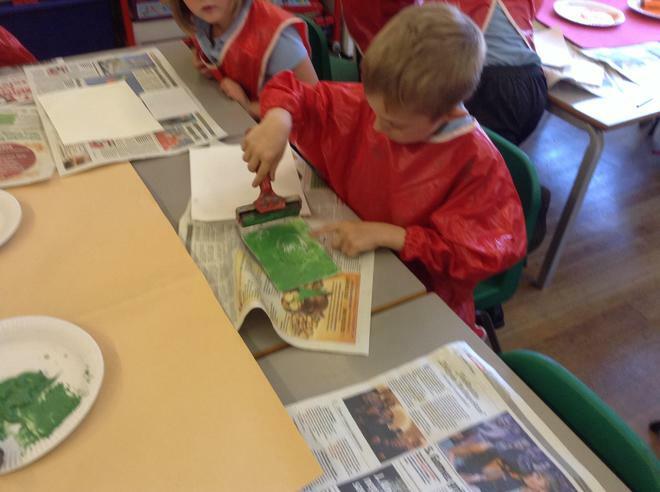 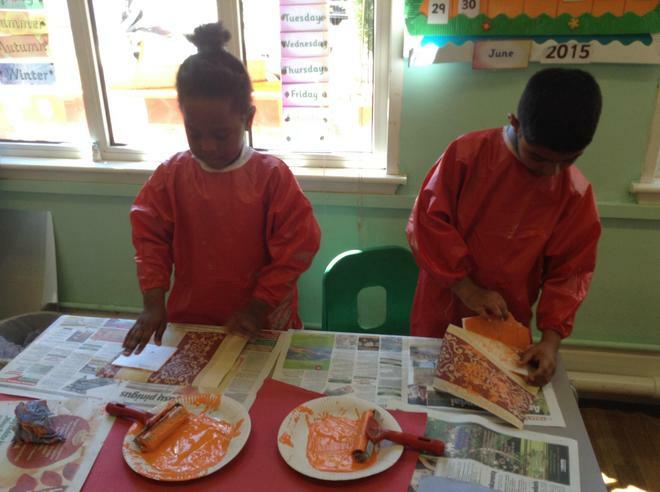 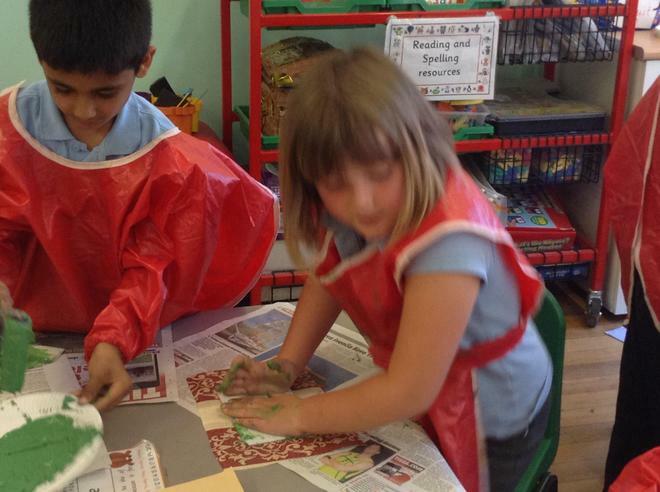 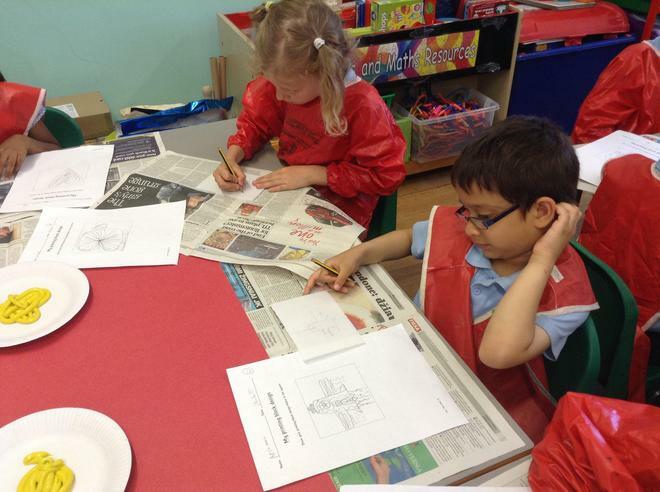 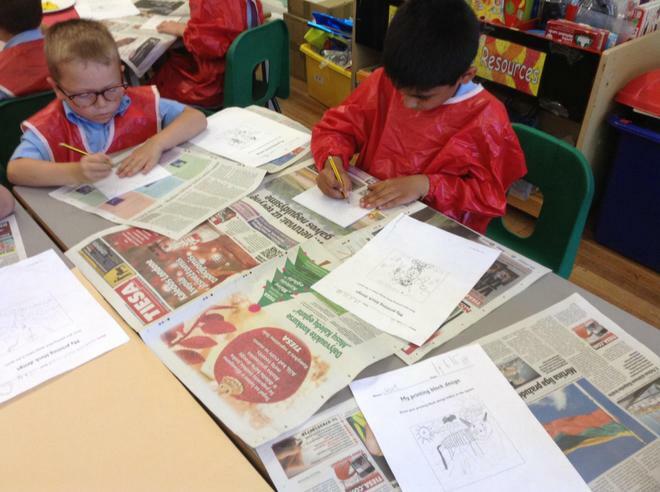 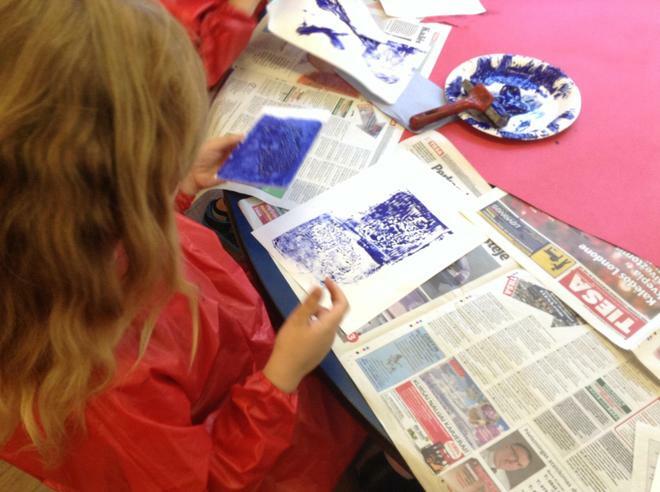 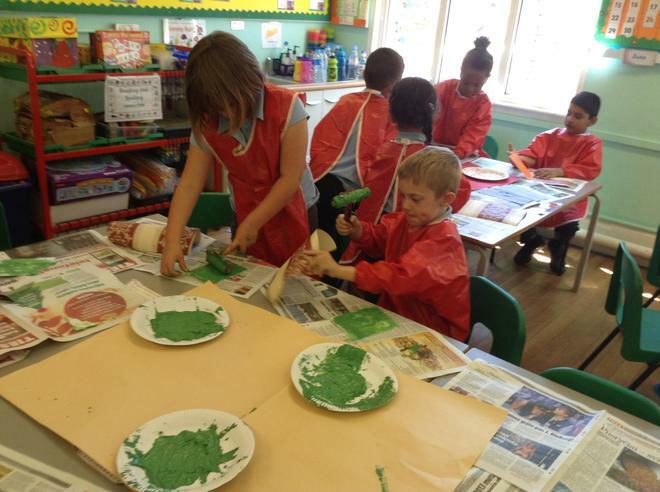 The children created some fantastic prints.